Providing key information on how to work with research data, Introduction to Data Technologies presents ideas and techniques for performing critical, behind-the-scenes tasks that take up so much time and effort yet typically receive little attention in formal education. With a focus on computational tools, the book shows readers how to improve their awareness of what tasks can be achieved and describes the correct approach to perform these tasks. The author first discusses how to write computer code using HTML as a concrete example. He then covers a variety of data storage topics, including different file formats, XML, and the structure and design issues of relational databases. 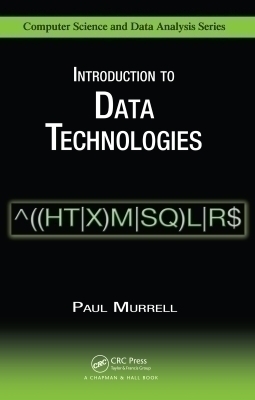 After illustrating how to extract data from a relational database using SQL, the book presents tools and techniques for searching, sorting, tabulating, and manipulating data. It also introduces some very basic programming concepts as well as the R language for statistical computing. Each of these topics has supporting chapters that offer reference material on HTML, CSS, XML, DTD, SQL, R, and regular expressions. Written by a member of the R Development Core Team, this resource shows readers how to apply data technologies to tasks within a research setting. Collecting material otherwise scattered across many books and the web, it explores how to publish information via the web, how to access information stored in different formats, and how to write small programs to automate simple, repetitive tasks.